Girls Full Dress by Blossoms Organic Clothing Company. Supplier from India. Product Id 798941. Qingdao Glede Trading Co., Ltd.
Baby romper with extra soft 100% Organic cotton. 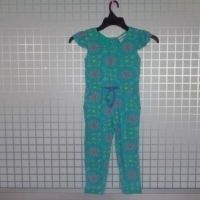 Supplier: Baby wear, bib, bloomer, cardigan, romper, body suits, set items, sleeping bag, baby carrier, sweaters, baby frocks & innerwear, Boys wear,T-shirts, jogging suit, under wear, trousers, pyjama set, sweat shirts, shirt, set items & innerwear.,, Girls wear:t-shirts, jogging suit, dress, shirt, skirt, under wear, pyjama set, dress, blouses & innerwear, Men's wear, T-shirts, pants, pyjama set, jackets, shirt, shorts, trouser, jogging suit, sportswear, night wear, beach wear & innerwear, ladies wear liket-shirts, tank top, pyjama set, leggings, jackets, dress, skirt, blouse, shirt, night wear, plus size clothes & innerwear. Search More Like "Girls Full Dress"